Summary: Are you looking for the biggest paycheck possible as an attorney? Take a look at these practice areas that offer the highest pay today. There are, of course, many variables you should consider as you shape your legal career, including intellectual interests, job availability, lifestyle issues, and more. But if receiving a big paycheck is important to you, these four practice areas deserve a hard look. At the outset, it is important to recognize that many factors come into play when it comes to attorney salaries. Among the myriad of factors that go into attorney salary calculation are the kind of firm for which the attorney works (major international law firm versus a smaller or regional firm) and the status of the attorney (equity partner, non-equity partner, head general counsel, regular in-house counsel, associate, etc.). Another consideration is the geographic area in which the attorney is located. First year associates in top firms in major markets like New York City can earn $180,000 per year, for example, while the 2015 median salary of attorneys nationwide was only $115,820, according to the Bureau of Labor Statistics (“BLS”). Moreover, attorney salaries and the availability of jobs are always influenced by the overall economy—in general and as it relates to certain practice areas. Complex litigation is a hot area right now, and one in which the best practitioners can command very high salaries. Complex litigation is a specialized area of litigation that involves high-stakes “bet the company” lawsuits waged by and against the world’s largest companies. Complex litigation involves especially challenging legal and factual issues, volumes of documents to be sorted and assessed, and cutting edge knowledge of the latest electronic discovery (“e-discovery”) laws and tools. Complex litigators must also be able to oversee large staffs of attorneys, who must reliably review countless electronically stored documents (sometimes millions of emails) as well as analyze laws and draft, respond and argue motion after motion in court. Complex litigation cases have very long timeframes, and some can go on for years and even decades before they are resolved. Because the stakes are so high when it comes to complex litigation, companies with deep pockets will pay the high rates it takes to get the most competent attorneys to oversee and win these massive lawsuits. 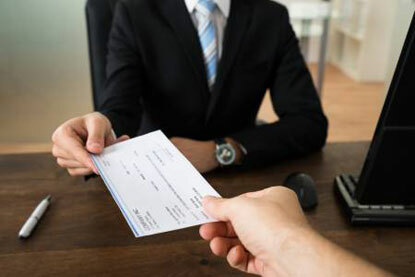 According to a recent National Jurist article on lucrative practice areas, complex litigators take home paychecks that are generally 18 percent higher than other attorneys. If litigation and trial work is not for you, but you want to earn a good living, you might consider corporate law, which can yield salaries 8 percent higher than the median. Corporate law is a general term that refers to a variety of different kinds of transactional work on behalf of companies and corporations. Corporate lawyers help move the wheels of commerce by assisting corporate clients with everything from drafting operating agreements and bylaws, to helping companies acquire and merge with other companies, to helping companies secure “capital” by issuing securities. Among the practice areas within corporate law that are most in demand right now are Mergers and Acquisitions (“M&A”) and Capital Markets. M&A attorneys represent companies that are merging with or taking over other companies. M&A attorneys represent both target companies as well as buyers in transactions effectuated through asset purchases, stock purchases, and other structures. M&A lawyers can command large salaries. This is because companies seeking to grow through acquisitions and mergers will pay the high rates it takes to get these transactions done in the most effective way possible, and with no legal loose ends that can derail things down the road. M&A partners at the high end of the spectrum can earn over $1,000 per hour, with the median M&A partner salary hovering around $630 per hour. In contrast, according to the BLS, the median 2015 hourly attorney salary was just $55.69 per hour. Capital markets attorneys also are in high demand in a growing economy, for the same reason. Companies want to hire the best lawyers they can to help them “go public” and issue stock and other equity and debt instruments in the capital markets, as well as to structure “private placement” financings, which involve the issuance of securities to sophisticated investors in a less-regulated fashion. Capital markets law is complex and these lawyers must be versed in contract, securities and disclosure law, as well as in federal and state regulatory law. The practice areas of M&A and Capital Markets are excellent, but in a strong economy other types of corporate lawyers also are in demand. These include banking lawyers, who assist companies in securing bank loans to finance their projects and tax lawyers, who step in to advise corporate clients on the tax implications of various transactions and of structuring a deal one way as opposed to another. A final practice area to consider when it comes to salary is the emerging area of healthcare law. Given the passage of the Affordable Care Act, more and more people have health insurance and are coming into contact with health care providers, which often is a cause of legal issues and disputes. Moreover, new laws and regulations are always coming into effect regarding digitization of personal healthcare information and data privacy. The healthcare industry thus needs specialized healthcare lawyers who can keep pace not only with the demands of growth but also with an evolving landscape of federal and state laws and regulations. Healthcare partners who gain the confidence of their healthcare clients can earn pay rates of over $550 per hour. When the economy is growing, companies need legal assistance with intellectual property matters, just as they do with M&A and other corporate work. Companies need help securing patents for new technologies and trademarks for new brands. Companies also need attorneys who can defend and/or prosecute lawsuits regarding intellectual property rights. As an example of how busy this practice area is right now, the years 2013 and 2015 saw the highest number of patents being filed in the federal courts. Patent and trademark prosecution attorneys assist companies in securing patents and trademarks with the United States Patent & Trademark Office. Patent law, in particular, is highly technical and in order to effectively represent clients many of the best patent lawyers are scientists themselves, with higher education degrees in the hard or life sciences in which their clients work. Generally speaking, the more qualifications a patent attorney has, and the more sophisticated work he or she can handle, the higher salary he or she can command. Intellectual property litigation is another lucrative area. It shares many attributes with complex litigation, in that these cases are so important that clients are willing to pay very high rates for litigators who can successfully defend or prosecute their cases. A high stakes IP litigation matter might involve the rights to an extremely lucrative technology or medicine, for example, with jury verdicts that can exceed $100 million in damages and that can make or break the companies involved in the lawsuit. Young attorneys must factor in a number of variables when planning out their legal careers. But if salary is an important consideration, complex litigation, corporate law, intellectual property law, and healthcare law are hot, in demand practice areas to consider. I really like the LawCrossing service. It was easy to use, efficient, and I found a job. It was successful. LawCrossing Fact #3: Every single week, LawCrossing offers new, engaging, informative, and industry-specific articles.